The Moving Bodies Sports Gala Day is an event which involves the entire school and caters for children in Kindy through to Year 6. Students thoroughly enjoy the wide range of activities on offer and appreciate the opportunity to participate in sports or activities they may not have tried before. The day can offer those children who may not thrive at their school athletics carnival, the opportunity to participate in a school event without any pressure of performing or competing. 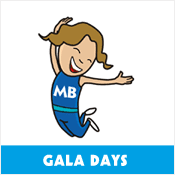 The Moving Bodies Sports Gala Day is programmed specific to each schools requirements. Schools can nominate a particular theme or sport category if required, or alternatively, simply allow Moving Bodies to design a day featuring a wide range of different activities. Half or Full Day Programs are available. Teacher involvement is essential in order to make the environment as safe and challenging as possible. Parents are also encouraged to participate and are also a valuable part of the day. Gaining community support for the Sports Gala Day is a great way to cover the day’s cost and raise further funds for sporting equipment and other needs. Each child receives a Sports Gala Day Sponsorship Booklet with information pertaining to the day and their responsibility in regards to collecting the sponsorship money. Since 1994 Moving Bodies has been providing high quality physical education programs for many Sydney primary schools. In 2017, we are excited to take Moving Bodies to the Primary Schools in Melbourne! Our programs are developed based on the NSW PDHPE Syllabus and the VIC AusVELS, which aim to support and improve physical, cognitive, social and emotional development along with improving students fundamental movement skills for all sports, in a safe and challenging environment. Most importantly, our lessons are FUN! Moving Bodies © 2019. All Rights Reserved. Cafe, so, to celebrate, we’re offering half-price Ninja open sessions in April, including weekends & school holidays! checkout to receive your discount.